The Federal Motor Carrier Safety Administration (FMCSA) has the job of imposing regulations designed to prevent truck crashes. Among its rules are limits on the number of hours that truckers can operate their vehicles or be on duty. This is designed to prevent drowsy driving collisions. Victims of crashes with tired truckers should consult with a Portland, OR truck accident lawyer for help pursuing legal action. The FMCSA hours-of-service limits are largely enforced by an honor system. Truckers keep logbooks specifying their time on duty and time behind the wheel, which can be reviewed to determine if the hours-of-service limits are being followed. Unfortunately, as Fox News reports, it is not hard for truckers to fake these logbooks and thus violate rules designed to prevent drowsy driving accidents. Safety advocates have long pushed to have electronic monitoring instituted as a requirement so that truckers will no longer have the ability to provide inaccurate information. Two years ago, President Obama took action on the issue and issued a directive. The Federal Motor Carrier Safety Administration in response has now released a proposed rule that would require the use of electronic tracking to ensure truckers don’t drive when they shouldn’t. Electronic monitoring of truck drivers would better ensure drivers are not dishonest either about when they are driving or how long they are resting. There are limits to electronic monitoring since it can only tell when a trucker is driving, not when he came on duty. Still, it can provide a relatively accurate picture of what the trucker is doing. Truckers have an incentive to lie about when they drive. 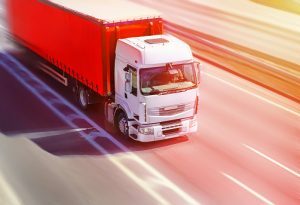 When the FMCSA’s new hours-of-service rules went into effect in July of 2013, the rules said that drivers had to take a 34-hour rest break after 60 hours per week of driving or 70 hours of driving during an eight day period. Two periods of time during this 34 hours had to fall within 1:00 a.m. to 5:00 a.m. Unfortunately, some professional trucking organizations criticized this and drivers expressed unhappiness about the rule since it meant they’d have to drive at peak times. A trucker could now lie about when he drives if he wants to break this rule; or could like to make it look like he hasn’t met his 60 or 70 hour limit. These are just some of the ways that logbooks could be manipulated. As Business Week reports, there is a growing shortage of qualified truck drivers in the U.S. As a result, truckers could face pressure from their employers to manipulate logbooks and break the maximum drive-time rules. If the rules are broken, there is a serious cost. As many as 12 percent of the 129,120 truck accidents that occurred over the course of 2012 involved fatigued truck drivers. A driver who is fatigued could be just as impaired as one who is drunk, and will have slower reaction times in addition to potentially falling asleep behind the wheel. If drivers were forced to follow the rules because of electronic monitoring, FMCSA indicates that as many as 20 fewer fatalities would occur each year in truck collisions. An estimated 434 injuries could also be prevented, and the total safety benefits of the switch to electronic monitoring could be worth as much as $394.8 billion each year.